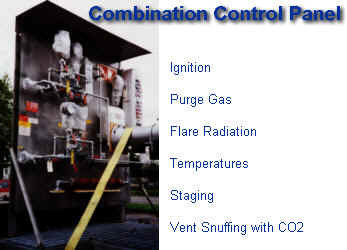 gas plant pit flares, steel mills and chemical plants. 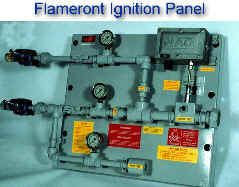 flamefront pipes for subsea offshore flares. without shutting down the flare. with CO2 or dry chemical. 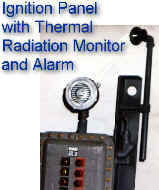 medium range UV and long range IR (shown on LEFT). Prices range from $1,500 to $15,000 USD. Click on photo or here for more info on optical controls. drawings, technical reports, price and brochures.